The invention of the printing press in the 15th Century did more than revolutionize the spread of knowledge. It opened a door to a new way of thinking about science, authorship and the importance of the human mind in the pursuit of knowledge. The internet has been widely cited as the most important development since the printing press, but like the invention of moveable type, the greater value emerged from the congress of minds who were doing the moving. Are people our greatest assets? While the assembly line did much to quash the importance of workers beyond their value as labor, it regained a foothold in the 1960s with the prediction by Peter Drucker of the rise of the “knowledge worker” and heralded a day when people would indeed be viewed as organization’s greatest assets. In leading management circles today, this aphorism has taken on a new ring of truth. Human capital is management’s renaissance of the spirit of humanism introduced in the 1960s that once again foundered in the wake of the financial maelstroms of the 1980s through the dot-com years. Although the term itself dates back to even earlier economic literature, it did not come into wide usage in management until the beginning of the new century. In the latter part of the 20th Century, as people began to buy and sell companies like so many scraps of paper, the notion was lost – or at least misplaced – that the true assets of innovation reside in and among people. Now we are experiencing a rebirth of these humanistic ideals but with a fresh approach; one that links creativity with capital and potential with performance. Management trends do not spring from a vacuum. Social change agents of the past encouraged by writers such as Aldous Huxley and led by transformers across society ushered in a social gestalt of humanist philosophy and psychology reflective of the Civil Rights Movement in America. The inertia of these social movements eventually gave way to other trends, but the ideals survived in memory as a golden age of what society and its organizations might have become. In the 1960’s, the Human Potential Movement swept through company cubicles and society at large. Spawned by the writings of Abraham Maslow, Carl Rogers, Frederick Herzberg, and other organizational observers, we began to understand that people were more than cogs in the machine. Within the right systems, it was argued, individuals would strive toward self-actualization. Self-actualized people were not just more productive, but actively sought to invent new models of productivity. As a bonus, self-actualized individuals tend to devote many of their efforts to helping others realize their own potential. Organizations that worked this way would generate ideas and solutions that translated into successful, sustainable, and self-transcending strategies and systems. Metaphorically, human capital seems in opposition to the idea of human potential, the latter suggesting an almost limitless trajectory, the former more resonant of financial capital and a resource-based view of organizations. Yet despite the possible errors of language, as practiced human capital management shares and revives the basic humanistic principles of the Human Potential Movement. 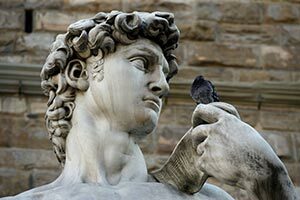 Recall that the Renaissance that began in Europe after the Middle Ages described a rebirth of art and science and a reconnection of Western thought with the early humanistic principles of classical antiquity. In a pattern reminiscent of the Renaissance, the embracing of the concept of human capital in management and society represents a re-adoption of the knowledge of an earlier age, though with some important differences; differences that actually draw the parallel more tightly. While the Human Potential Movement advocated almost a laissez-faire approach to management, today’s human capital leaders see building human capital as an integral piece of the puzzle in the pursuit of high performance organizations. The emerging class of Chief Human Capital Officers is charged with the role of making the links to strategy more explicit without succumbing to the myopia of a strictly financial paradigm. The new thinking inherent in human capital, like the new thinking of the Renaissance, marries the methods of our evolving social science and psychology with the creativity and artistry inherent in people. Creativity, for example, is not simply doing anything novel, but recombining ideas to imagine innovative ways of being effective. With this in mind, human capital offers an umbrella concept for both sheltering creativity as well as protecting value creation. Unlike “human resources,” the new metaphor sees people not simply as tools toward an end, but as interconnected sets of individual and group capabilities that can be nurtured and tapped. While employees have yet to migrate on the balance sheet from expenses to assets, the new thinking sees expertise as a core asset, and the expense of building and maintaining expertise viewed as a capital investment. Just as venture capital enables and empowers the ideas of entrepreneurs, human capital creates systems and environments for people to achieve their own potential while aligning their performance to the living strategy of an enterprise. If human resources was seen as the police force of the organization, and human potential as its ineffable opposite, then human capital offers a cohesive third way that reinvents and synthesizes the ideals of human and organizational performance. Emblematic of the Renaissance, human capital today is an investment in education and artistry, one that cannot be easily sold or replaced; an investment that pays both tangible and intangible dividends to an organization’s stakeholders. In the end, building better people becomes a richly rewarding end in itself. Human capital is still evolving. Already new terms such as human performance and talent management and many more edge concepts have begun to seep into theory and practice. As our society and organizations learn how to learn, the human capital renaissance will continue, the creative class will rise, and perhaps, in time, with imagination and determination and a responsible handling of our new knowledge sharing tools, we may one day usher in a new organizational Age of Enlightenment.